Barrio Queen Celebrates Restaurant 6 Year Anniversary With Huge Cinco de Mayo Parties! Live music, drink specials, tequila tastings, giveaways, life-sized Luchadores, piñatas and more! Scottsdale, Gilbert, Phoenix (RestaurantNews.com) On May 5, Barrio Queen celebrates Cinco de Mayo & their 6 Year Anniversary at its Scottsdale, Gilbert and North Phoenix locations with the Biggest & Most Exciting celebrations in the Valley! Guests can celebrate from 11 am – 11 pm at all three locations with drink specials and entertainment from open to close. Live music by Mariachi Bands and DJ Veto fills the air as attendees show off their party spirit by taking selfies with life-sized Luchadores and taking a swing at a piñata. Fun giveaways round out the day for family fun with the kids and then geared for adults at night! 1800 Coconut Tequila: “Queen’s Cooler Margarita” Jose Cuervo Reposado: “OG Margarita” Mexican MoonShine Tequila: “La Tunita Margarita” and Maestro Dobel Tequila (Blanco,Reposado & Anejo. Since its first Valley location opened in 2011 in Old Town Scottsdale, Barrio Queen has been drawing locals, visitors, movie stars and sports stars alike (and even Martha Stewart has stopped by!). 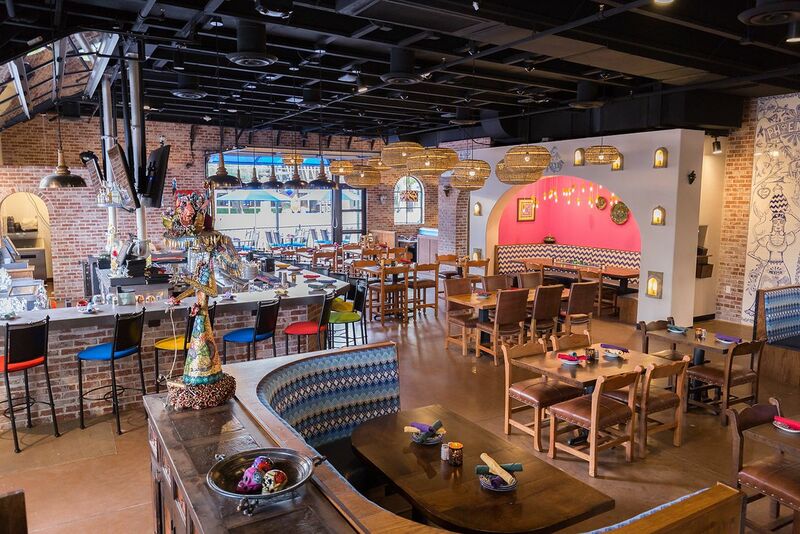 Barrio Queen has strived to provide a unique dining experience based on offering authentic Mexican food, often created from the chefs’ own family recipes. Everything is handmade, using top-notch ingredients, from the salsa and guacamole to the chips. The dishes are then served to patrons in a way that is fun and engaging. In addition to its award-winning entrées, guests can also expect Barrio Queen’s guacamole, which is prepared tableside and highlighted as one of the top 10 places to get tableside guacamole in the country in 2016 by USA Today. Barrio Queen was created by owners Linda Nash and Steven Rosenfield to bring authentic Southern Mexican fare and culture to the Valley. In addition to its family recipes, the restaurant is known for its unique drinks and extensive tequila and mezcal menus. Current locations include: Barrio Queen-Scottsdale, 7114 E. Stetson Drive, Ste. 105, Scottsdale, AZ 85251/480.656.4197 Barrio Queen-Gilbert, Heritage Marketplace, 388 N. Gilbert Road, Gilbert, AZ 85234/480.634.5025 and Barrio Queen-North Phoenix, 21001 N. Tatum Blvd. Phoenix, AZ 85050/480.4667445. For more information, visit www.barrioqueen.com.